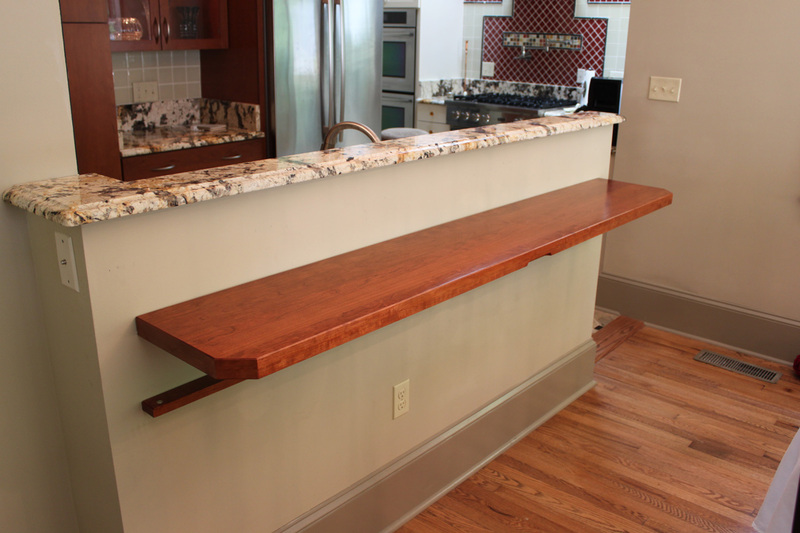 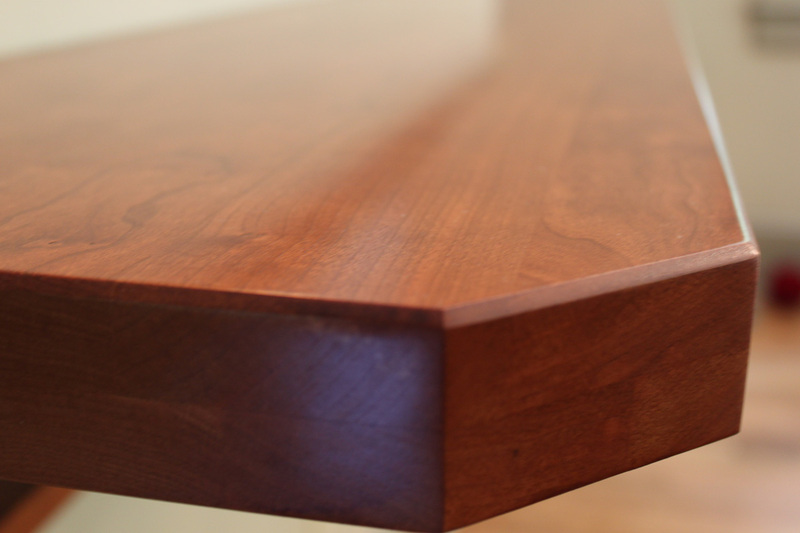 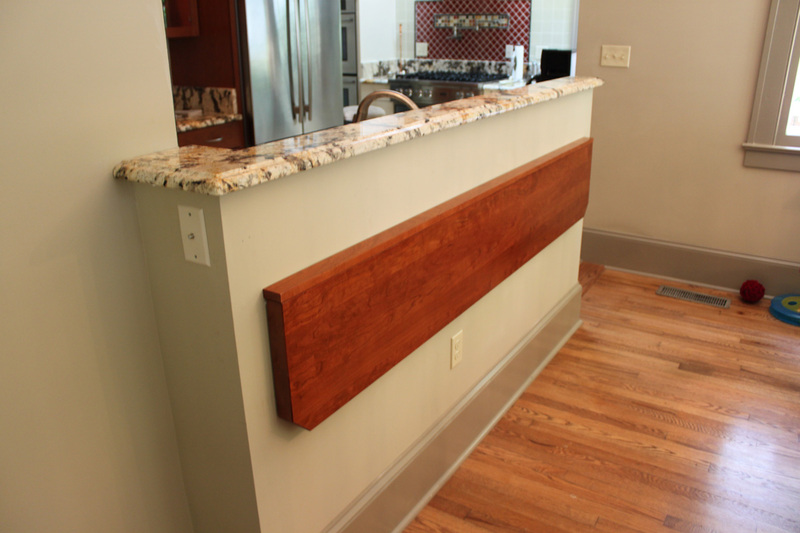 An intimate kitchen/dining area created a need for this cherry shelf to fold down when the need for more space was demanded. Locking supports under the shelf are robust enough to support several hundred pounds while still smooth enough to let the shelf drop down smoothly with the click of a button. I would like to know the cost of this collapsible counter, I am interested in purchasing one.